Help Cats Online - Join the Cat Chat Team! If you would like to help rescued cats from the comfort of your own home, then Online Volunteering is perfect for you. 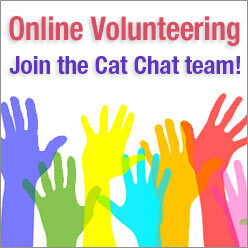 Cat Chat currently has some online ('virtual') volunteer vacancies, so why not check them out? You will need to be computer literate, over 18, and love cats! Neutering your cat is better for them, and for the wider cat population too! Rescue centres get over-run with kittens in spring and summer - largely because too many owners didn't get their cat spayed, resulting in unplanned, unwanted litters. Please neuter your cat - male or female. 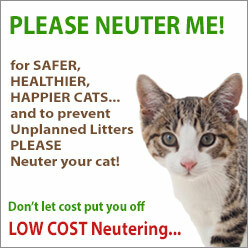 If cost is an issue, low cost neutering is available - don’t wait til it’s too late! 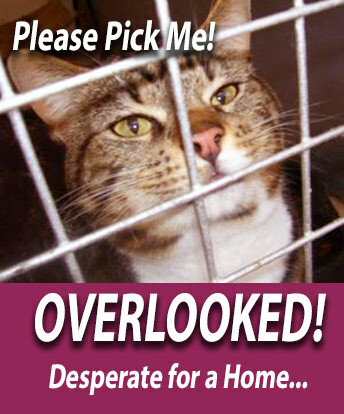 Homes Desperately Needed For 1,000's of Older Cats! Most rescue centres have many adult and senior cats, longing for a new home. Even cats as young as 8 or 9 years get overlooked, even though these days that's just middle aged! Their plight is even worse in summer when many people just want kittens. 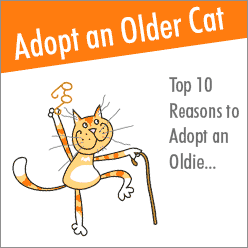 Could you adopt an older cat? 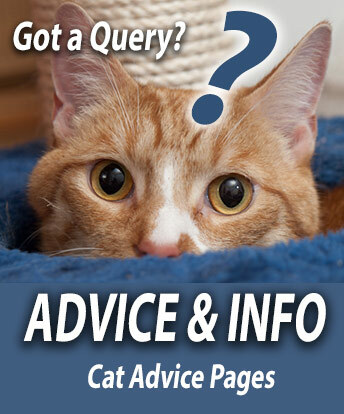 If you run a Cat Rescue Centre and Rehoming Group in the UK or Ireland - Cat Chat can help you! 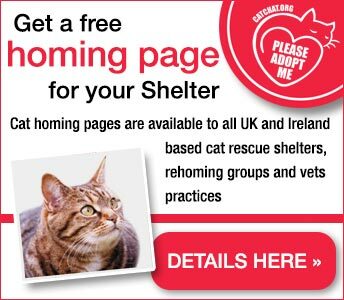 We offer free web-based assistance to cat rescue centres, to help find more good homes for cats in shelter care. We can also help vets practices with cats to rehome. 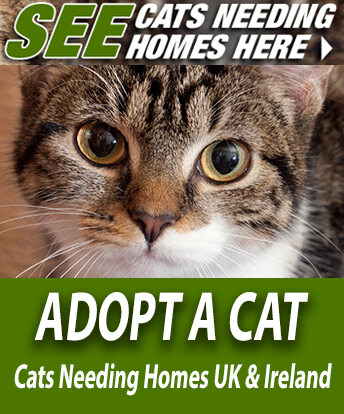 Currently over 10,000 rescued cats and kittens annually, find a new home with Cat Chat's help. Advice & general Cat Chat! For Tweets of the feline kind!